Isn’t deconstructed food fun? Whenever I see deconstructed dishes on a menu I get excited. It’s neat to see a creative chef break down all the delightful components of a classic dish. Unfortunately, I am much better at eating these reinterpretations then dreaming them up myself :). In that case, it’s lucky I can get my hands on a good cookbook. 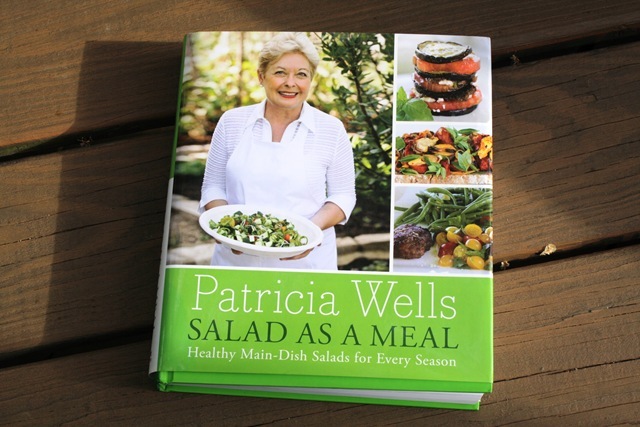 Also in my last life, I spent a few weeks participating in a blog series to promote Patricia Wells’ new cookbook, Salad as a Meal. It was a very fun few weeks! I sampled lots of recipes from her lovely book and enjoyed an abundance of fresh vegetables for lunch and dinner for weeks on end. What could be bad about that? Though I’m sorry to say I’ve not cooked from it since. I mostly blame this on my hoarder-like collection of cookbooks, most of which remain firmly on the shelf while I browse through Barnes and Noble and buy even more (help). But now it’s spring again and time to bring back the main course salad in all it’s glory. We can thank Patricia for this delicious idea…but here is my bacon-less adaption. You can add the pork back in if you like, I might be the only non-vegetarian on the planet who loves avocado more :). 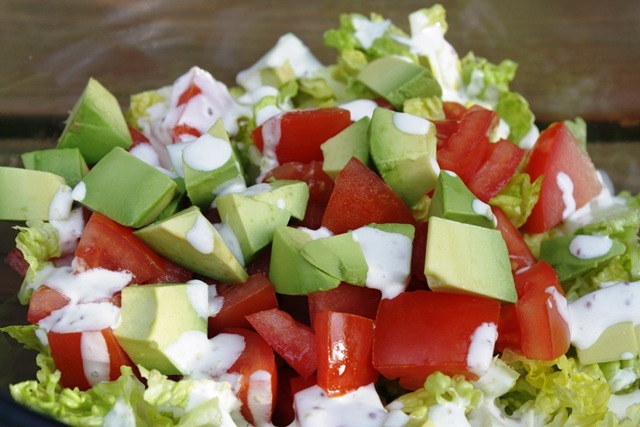 In a large bowl, combine the tomatoes, avocado and lettuce. Toss with just enough dressing to lightly coat the ingredients. Place a slice of toast on each plate and lightly drizzle with dressing. Layer half of the chicken on each slice. Sprinkle salad over top and finish with a few cracks of salt and pepper to taste. *I poached my own chicken and made my own dressing but sometimes I have too much time on my hands. If you’re in a pinch, let someone else do it for you!